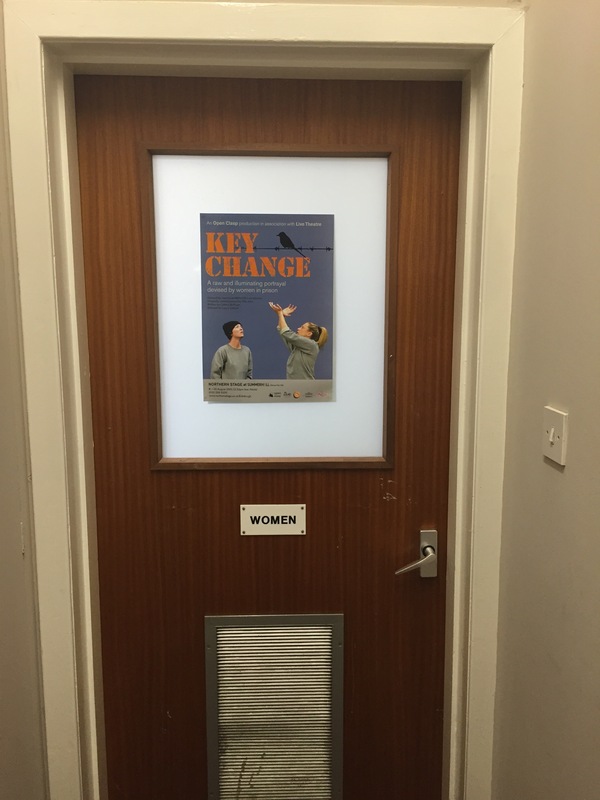 Over the last year I have become familiar with Clean Break, so it was really exciting to find another company which is engaged with telling the story of women in prison. Key Change was a piece by Open Clasp, which tells the story of four women in prison. The main focus is on Angie (Jessica Johnson) and Kelly (Christina Berriman-Dawson) and shows how their friendship has developed, and some of the reasons that they are both in prison. The story is harrowing at times. There’s laughter, but the stories have domestic and drug abuse in the background. Overall this is an energetic peice and the hour just flew by.